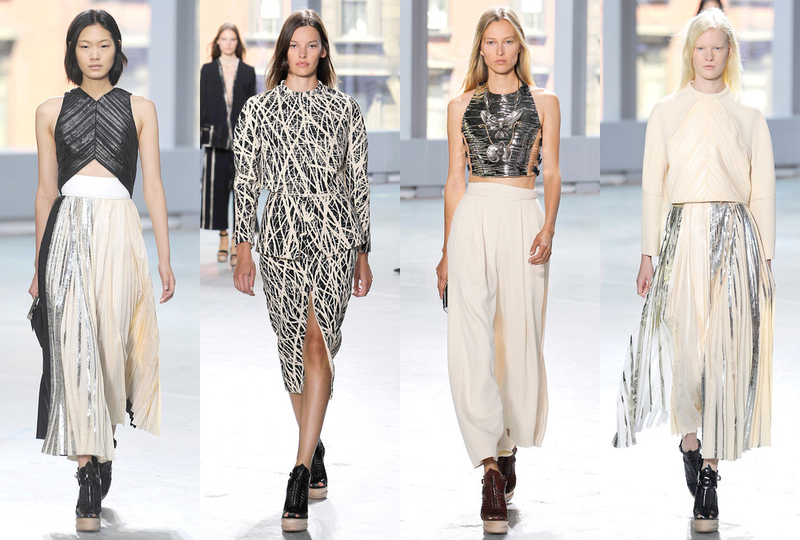 While the first half of the Proenza Schouler collection didn’t really convince me, the second half was magical. 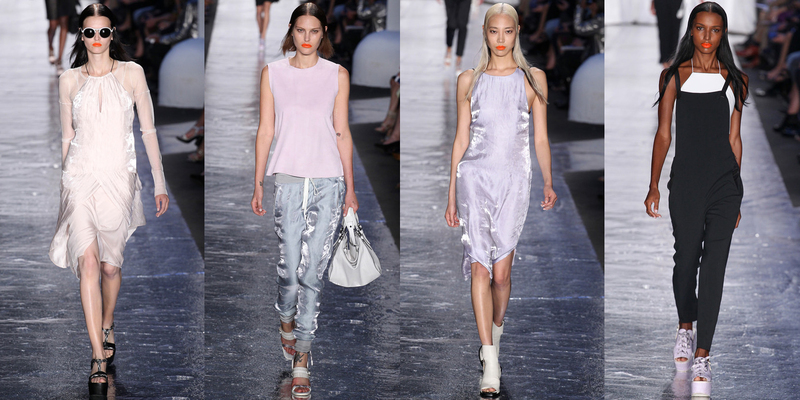 I can’t get enough of those shimmery pleated skirts with the crop tops and the boxy jumpers. Great silhouettes and beautiful color palette. 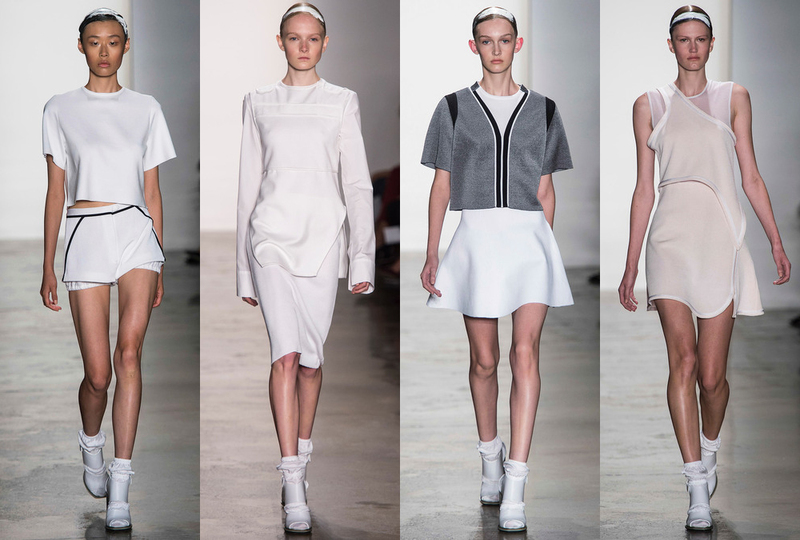 Louise Goldin’s spring/summer ’14 collection is just too cute. She takes the tennis player look from the court to the streets and I love it. Can’t really talk about fashion week without mentioning Alexander Wang, who brought back logo mania this year. If I could have one item it would be the parental advisory sweater – this is for sure the hot piece.